Written on March 25, 2019 . 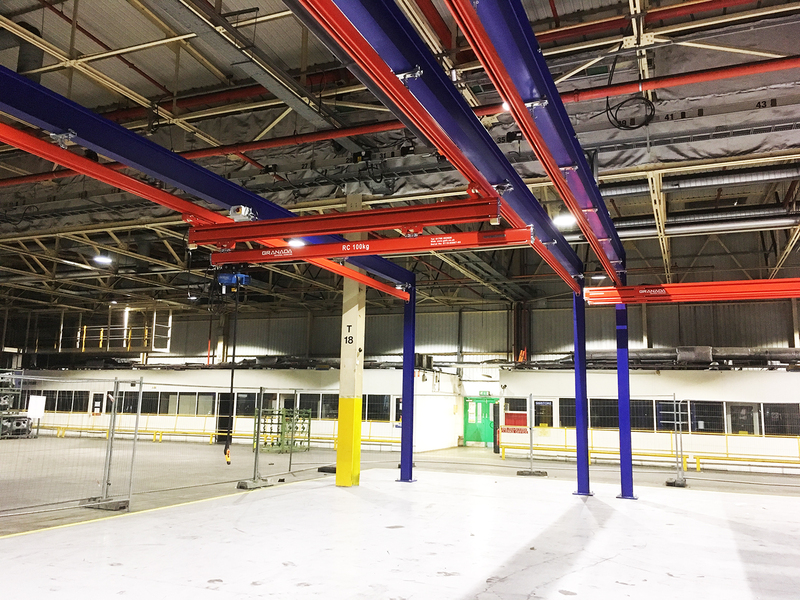 The Vauxhall plant at Ellesmere Port is the latest automotive installation completed by GMH, building on over 35 years of handling system supply to the car industry for iconic British brand names including Bentley, Jaguar, Mini and Land Rover. Vauxhall’s Ellesmere Port plant began production in 1963 with the Viva and today is one of two plants in Europe building the Astra, and Granada were contracted to facilitate the handling of engine marriage (the fitting of gearbox to engine) at the plant. Working to a tight timescale, Granada’s engineers carried out the design, manufacture and supply of all equipment and necessary materials for the plant’s new crane systems, together with the transportation, installation and commissioning of the hoists and KBK rails. 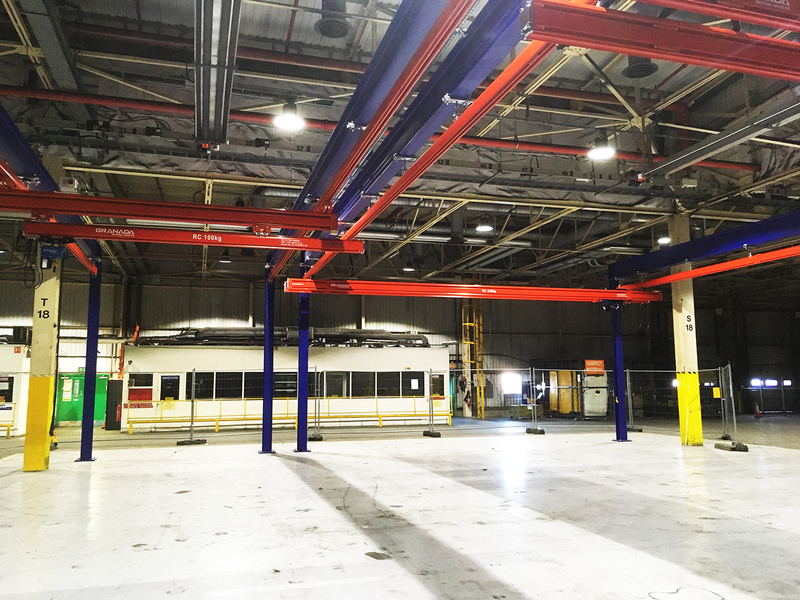 Specialist equipment supplied by Granada includes two off Demag KBK cranes complete with 630kg hoists together with all the required support steelwork. A Demag KBK telescopic crane with a 100kg hoist was installed for easy manoeuvre in any direction, with a crane girder span which can be adjusted over a wide range. These were specified because of their efficiency and reliability, supporting the complex handling system requirements of the overall scope of the project.